Wow. Wow wow wow. That was a crazy month! I want to thank you all for your support over the month of March. When we first started Azzip 5 years ago, it would have been hard for me to imagine a month like we just had. We have some of the most loyal customers of any business I have ever seen. 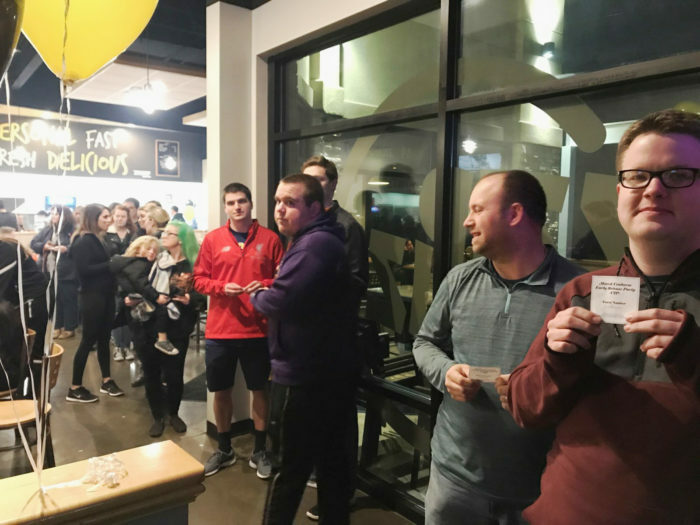 Crab Madness was in full effect and you all showed out. The first March Crabnesses of the night! 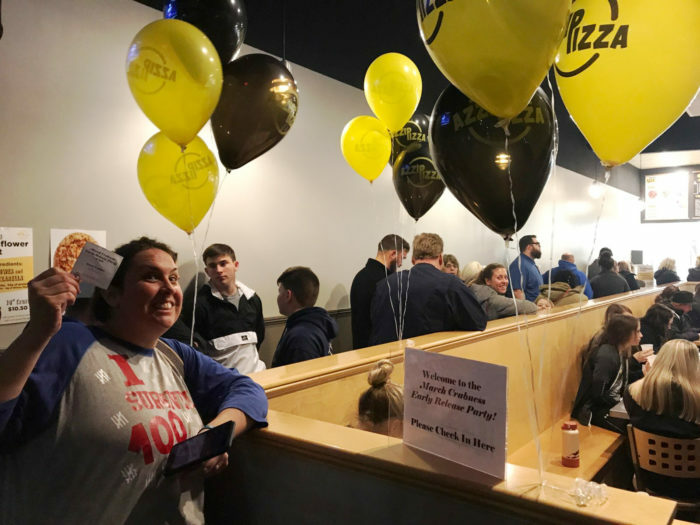 We kicked the month off with a launch party at the Evansville East location with about 100 March Crabness pizzas given away at 8 PM. You Crabheads started lining up a whole hour early just to get one of our creations about a half a day early. Blown away. The energy and excitement was just amazing this night and truly was a sign of things to come in March. Then March 1st happened. 1 out of every 4 pizzas on Friday, March 1st was a March Crabness. A normal pizza of the month sells about 1 out of every 18. We ran through the whole weekends worth of crab mix on Friday and Chef Blake had to get back in the kitchen first thing Saturday morning to make more. And you all just kept coming, and coming, and coming. He made more again on Sunday. And again on Monday afternoon. All told through the first weekend we made over 2,500 March Crabness pizzas. The month kept up in much the same manner. I think we all owe a big thank you to Chef Blake for the 6,000+ lbs of crab mix he made throughout the month. Blake and our whole team in the stores made this possible. The month ended as our busiest ever and I know our team is worn out. I am constantly amazed at what our team is able to accomplish. I also thank all of you, especially those who were waiting in longer than normal lines for something other than the March Crabness. The dedication all of you showed to Azzip makes me feel like we are doing something right at Azzip. So why isn’t the March Crabness here all year long? It was such a great month, we should just keep the pizza. Unfortunately, it’s not that simple for a couple of reasons. 1. We make all the Crab Mix ourselves. This is a huge undertaking and something that would stress the stores and our home office all year long. 2. It’s called the MARCH Crabness! 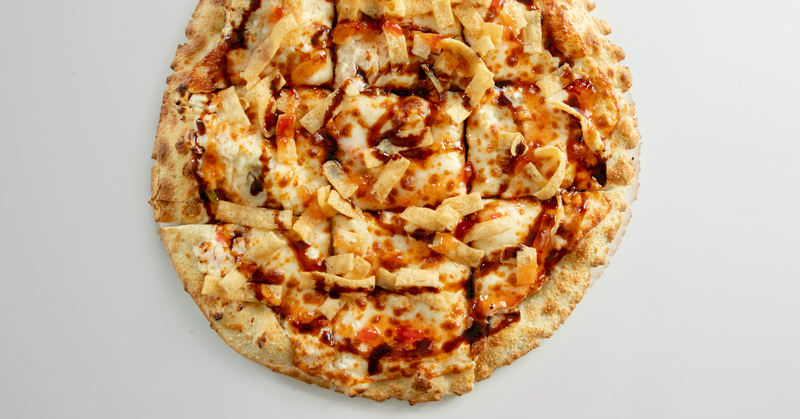 We think part of what makes this pizza so special is the limited nature of it. It is only available in March and you thinking about it all year long makes it that much more special. And 3. 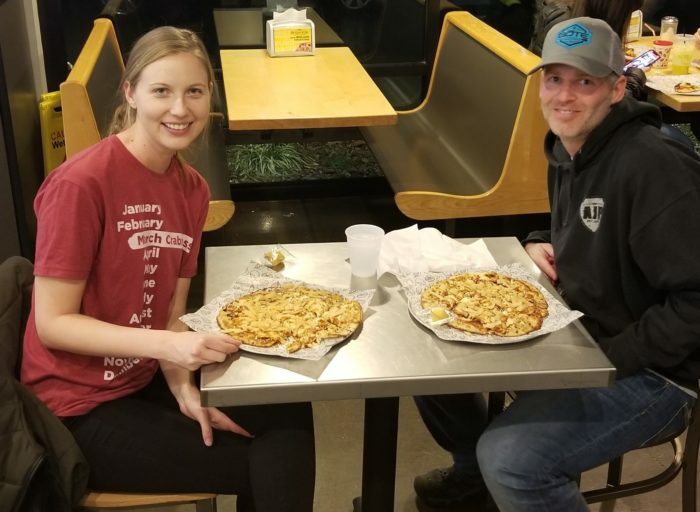 We have a ton of fun pizzas that people love. We only have so much room on our make station and in our refrigerators for different ingredients. Keeping things as simple as possible for our stores has been one of our goals from day 1. If we were to keep it, it would limit what we are able to do on future pizzas of the month. We don’t want that. So all in all, it was an amazing month and we loved having you in our stores. 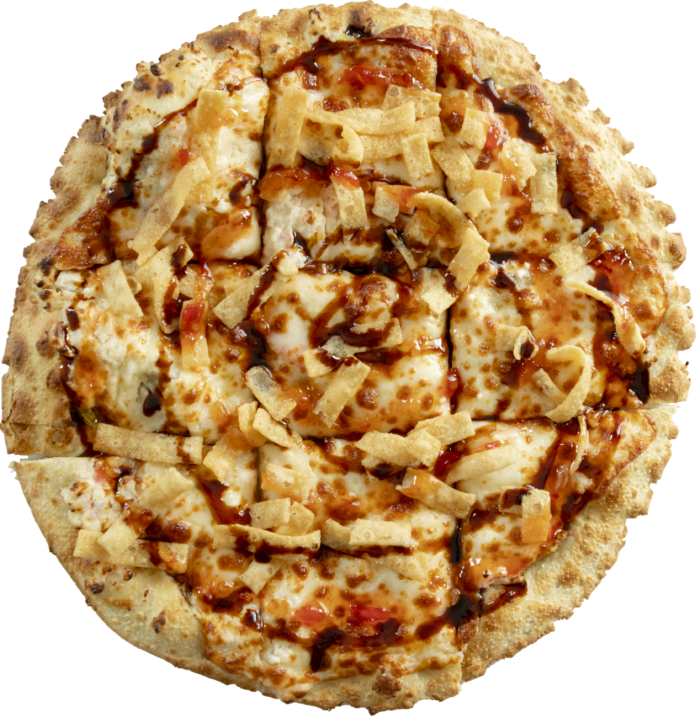 We hope you keep coming back to try our Pizza of the Month’s, especially the new one this month, the Saucy Chick! Check it out here! If you have any feedback for us from the month, please don’t hesitate to reach out. We are always looking for ways to improve.